iHeartMedia and Fox Broadcasting Company (FOX) have announced that the 2019 iHeartRadio Music Awards will honor Alicia Keys with the iHeartRadio Innovator Award; Garth Brooks with the Artist of the Decade Award; and Halsey with the iHeartRadio Fangirls Award presented by L’Oréal Paris. The two-hour event airs live Thursday, March 14th from 8-10 pm ET live/PT tape-delayed on FOX from Microsoft Theater in Los Angeles. iHeartRadio will honor 15-time Grammy winner Alicia Keys with the coveted 2019 iHeartRadio Innovator Award for her unparalleled contributions to pop culture and social causes as an artist, songwriter, producer, entrepreneur and activist. She has released six critically acclaimed studio albums, including her game-changing debut, Songs in A Minor. She launched in 2018, She Is The Music, a nonprofit focused on driving equality, inclusivity and opportunity for women across the music community, which recently announced the launch of the largest global industry database for female creators and professionals. Keys is also a co-founder of the Keep a Child Alive non-profit organization, which partners with grass-roots organizations to combat the physical, social and economic impact of HIV on children, their families and their communities in Africa and India. Past honorees of the iHeartRadio Innovator Award include Pharrell, Justin Timberlake, U2, Bruno Mars and Chance The Rapper. 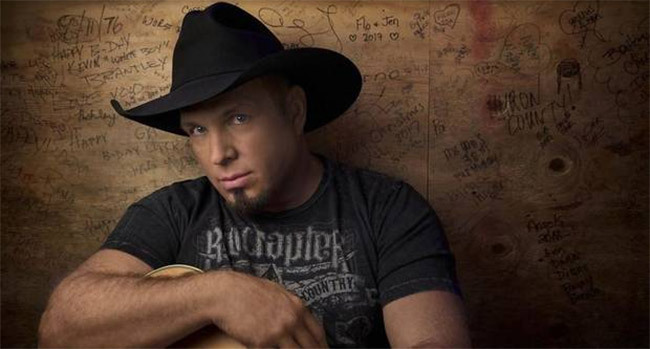 In addition, Garth Brooks will receive the first-ever iHeartRadio Artist of the Decade Award for his impact on the music industry as one of the world’s most successful and beloved artists. Brooks is the first recipient of this award, created to honor his outstanding achievements. He is the No. 1 selling solo artist in U.S. history, with more than 148 million albums sold. He also is the first-ever artist to be awarded seven diamonds by the RIAA for having seven albums certified with more than ten million sales each. Since the 1990s, Brooks has had nine No. 1 albums on Billboard’s Top 200 and 17 No. 1 albums on the Top Country Albums chart, spending more weeks at No. 1 on the album sales charts than any other artist since Soundscan’s inception. Brooks was recently named the inaugural inductee into the Live Music Hall of Fame and has been inducted into the Musicians Hall of Fame, International Songwriters Hall of Fame in New York, the Nashville Songwriters Hall of Fame and the Country Music Hall of Fame. The recent Garth Brooks World Tour with Trisha Yearwood smashed Brooks’ own previously held records by selling 6.4 million tickets, making it the biggest North American tour in history. In 2018, Brooks performed the first-ever concert at Notre Dame and sold out 84,000 tickets in under two hours. Halsey embodies the L’Oréal Paris philosophy, “Because You’re Worth It,” demonstrating ambition, passion and a strong sense of self-worth by using her voice both in her chart-topping music – which has garnered more than ten billion streams globally, nearly eight million adjusted albums sold and six consecutive top five airplay singles, including three of which reached the No. 1 spot, and a fourth on its way. The alternative pop artist also is nominated in three 2019 iHeartRadio Music Awards categories, including Female Artist of the Year. Last year’s inaugural iHeartRadio Fangirls Award recipient was Camila Cabello. Nominees for the iHeartRadio Music Awards were announced on January 9th. Artists receiving multiple nominations include Cardi B, Drake, Ariana Grande, Shawn Mendes, Post Malone, Maroon 5 and Imagine Dragons. The full list is below.